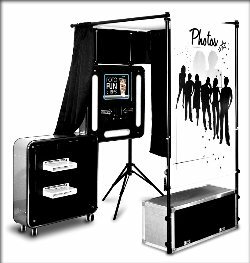 Eagle Photography owns a Photo Booth and is available to rent for your event. Available for all types of events!!! Add the excitement of instant photo strips just like in the malls to your event. The photos your guests receive will make a wonderful keepsake for any event and each photo strip had a customizable header for a title, company name or the guests of honor names to showcase your special event. Call (508) 697-4973 for a custom pricing quote today!! Eagle Photography is very different from many other studios in a number of different ways. One of the biggest differences is that I am the owner, photographer, and the main "Imaging Specialist" at Eagle Photography. This means that I will be personally capturing all of your day's special moments, wishes, and dreams. I only capture one wedding a day and create one portrait at a time. This is how I have always done business. This coming of age is quite a milestone in your child's life as well as you the parent. Eagle Photography captures images and moments of the Big Day that will be cherished for generations to come! For more information, check out our Bar/Bat Mitzvah page! At Eagle Photography, I realize that family is the single most importrant thing in people's lives. I work with with families on an individual basis to make sure that the images I create are a true reflection of the family. Portraits are a very personal item, therefore I take the time to make sure that they look that way. Time is spent to get to know the members of the family and those I photograph... this way I can tailor the portrait to the person and family to show off who they really are as a group. I don't take cookie-cutter pictures, I create beautiful portraits of people and pets that are customized to each and every person, pet or family I have the pleasure of working with so that they can be enjoyed for years to come.